The Fast, Flexible and Affordable Way to Travel with Globus Tours and Travels. Save yourself time and avoid unnecessary stress when you want to go to a special event, a sporting event, an airport for a long haul holiday or escape for a romantic weekend. You will benefit from a reliable service that gives you maximum enjoyment from your trip as you will not waste time worrying about trivial matters or suffering from delays, which take the shine off otherwise memorable experiences. Get to your destination quickly and without the stress associated with scheduled flights, road and rail delays. Experience a luxurious and comfortable trip as well as a direct point to point travel alternative. 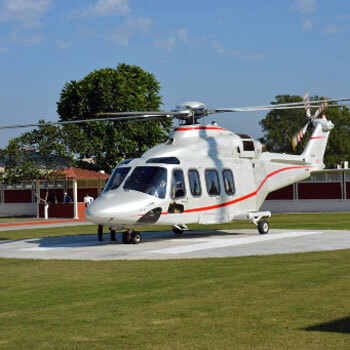 With your helicopter charter, you will be picked up near your home or office which saves you time and give you greater convenience and flexibility. Helicopter charter can be used for many purposes for business travel, sporting events, corporate events, outdoor events, anniversaries and occasions or a just a day out visiting family and friends.